This show was a horror anthology that all starts around a campfire in the wilderness. 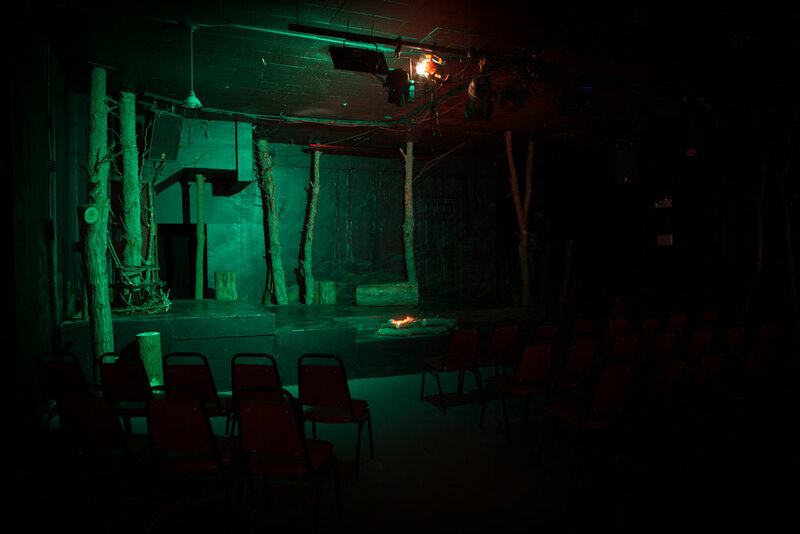 I wanted the audience to feel the canopy of trees of the dark woods around them as they entered the theatre. 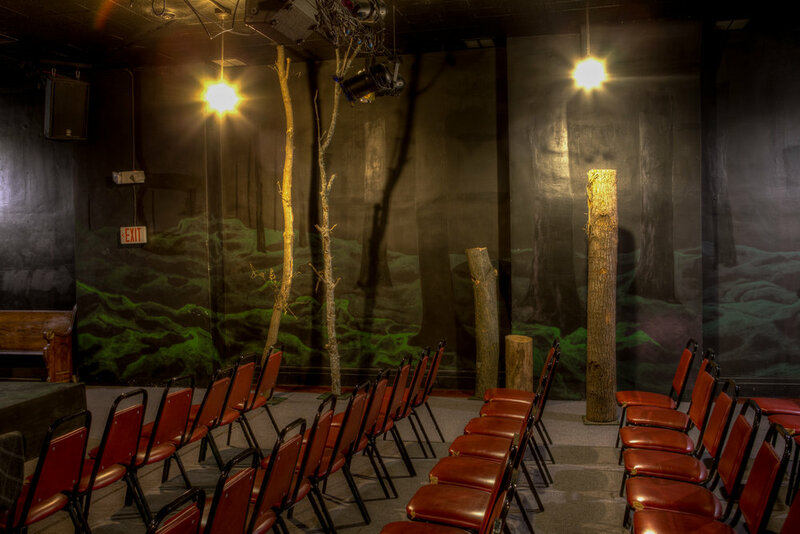 I worked trees out into the audience, painted the walls of the seating area and included other natural elements to create the olfactory sensation that being in the wilderness provides. For each short story I was able to find a distinct and interesting set piece to help highlight the horror of the individual story but when the story returned to the overall narration the set pieces then took on a role that made them seem as if they were part of the woods themselves.